The world's first online high-speed industrial professional LED placement machine,L8 is a professional LED placement machine,it can seamless connection with full automatic stencil printer and reflow oven，It achieves LED circuit board high-volume assembly.， features on-line、 high speed, high accuracy and so on. L8 is a professional LED placement machine,it can seamless connection with full automatic stencil printer and reflow oven，It achieves LED circuit board high-volume assembly.， features on-line、 high speed, high accuracy and so on. 1 Board driving system uses high precision stepper motor driving industrial belt, cooperating with precision guide-rail to achieve the improvement on placement accuracy and board driving speed. 2 Using natural granite design and manufacture of high precision integrated motion platform technology. Mounter ensure long-term use more than a decade, no change movement accuracy. Meanwhile, the integrated structure also has excellent shock resistance. 3 8 groups of mount head improves production efficiency of 500% than 1 group. 4 Visual programming automatically, without input component coordinates by hand. Programming is simple, fast ,meeting the needs of high-volume production of kinds of varieties. 5 Different sizes of smart feeder , which will not go forward if the component is stuck or isn’t picked up, can meet different requirements of LED mount. 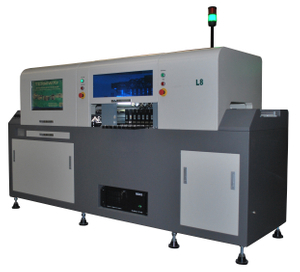 6 Cost-effective LED chip machine is most suitable for high-volume LED production. 7 The whole machine is controlled by industrial computer with professional software, easy to operate and use. 8 Easy to import CAD data of the circuit board. 10 Panel board coordinates can be displayed in the software, fine adjustment for these coordinates to achieve high-precision placement. 11 The space of panel board can be set in software, all component placing coordinates will be showed according to the space of panel board, and the panels that need not to mount can be selected out. 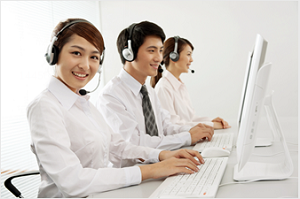 12 Software can realize to achieve automatically eight mounting heads function. 14 software increases muti-grades speed changing function, you can check out the best speed setting according to the distance check sheet and to do speed adjustment, which can increase the stability for long time usage. 15 PCB platform has vacuum absorb function, which can help large-size PCB board position accurately, improve placement accuracy. Meanwhile, it can complete soft flexible light strip of (FPC) position and mount. 16 The machine achieve the online transmission of the board, effective labor-saving, efficiency, compared to similar products, you can save at least one operator.If you configure the SP400 automatic screen printing machine, you can save at least two operators, improve the production efficiency of the entire production line and reduce the cost of long-term use at the same time.